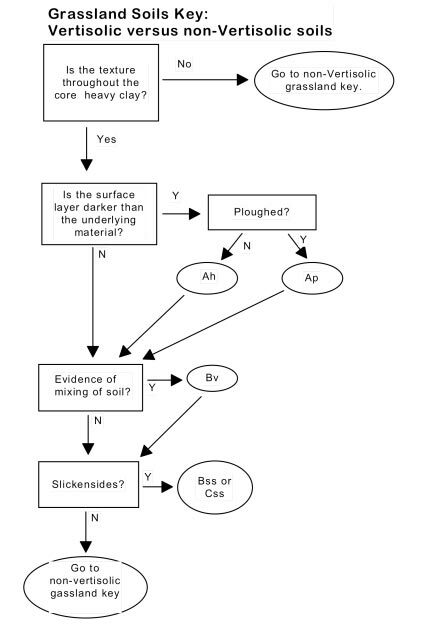 As a generalization, soils found in regions of Canada that are currently or historically dominated by grassland vegetation will fall into one of these soil Orders. 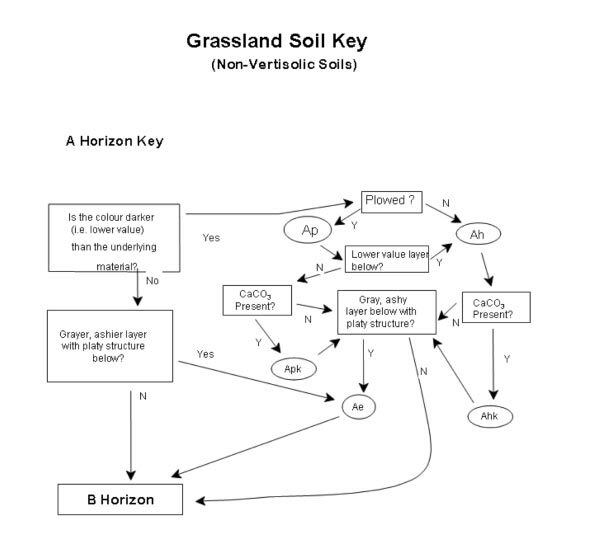 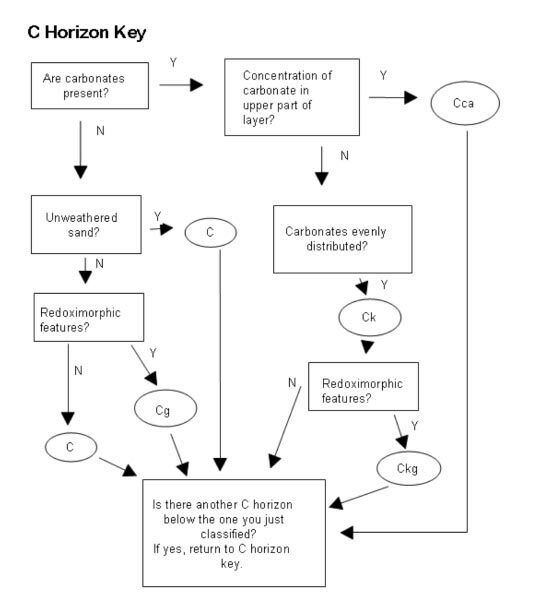 The Grassland Soils Key that follows can be used to identify the major mineral horizons present in Grassland soils. 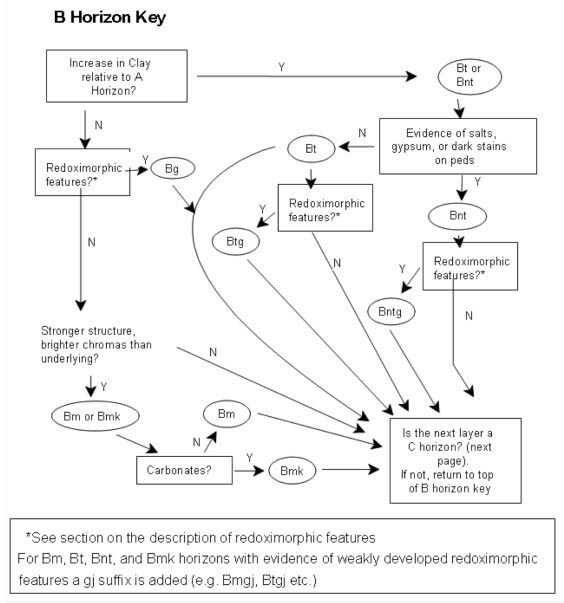 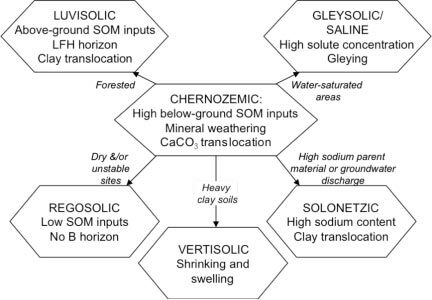 When properly described (link to CSSC online), diagnostic horizons can be used to classify a given soil profile to the Order level (see Table in Orders Overview) and provide information about which Great Group and Subgroup are appropriate, as well.